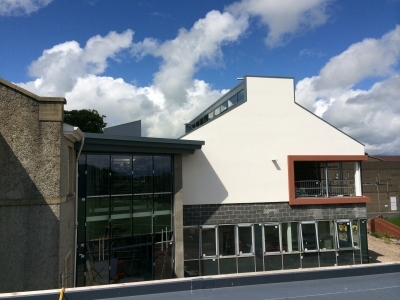 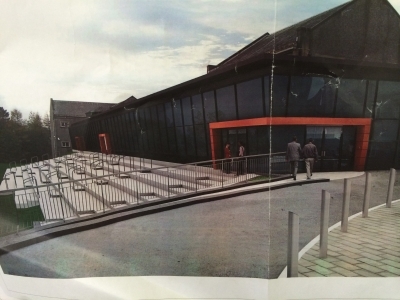 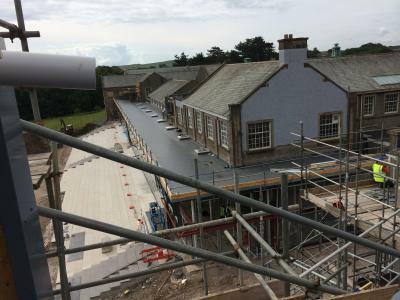 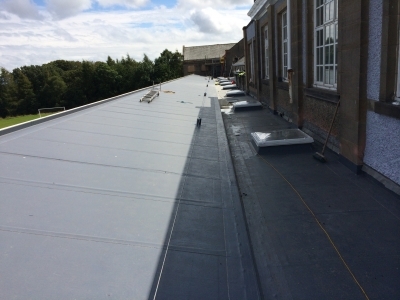 New extension to Victoria High School. 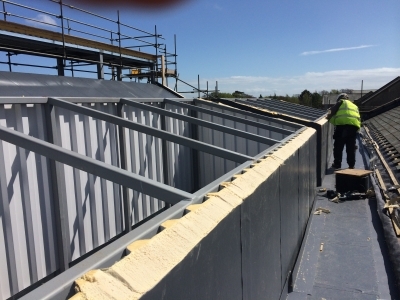 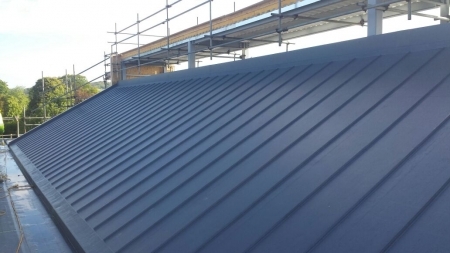 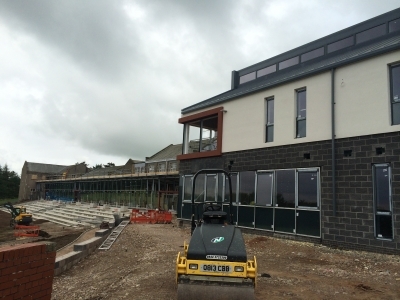 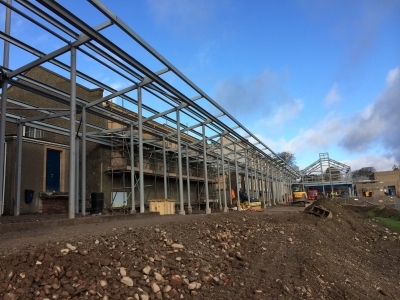 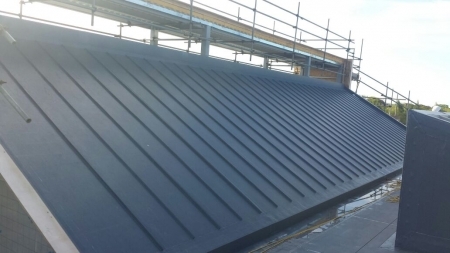 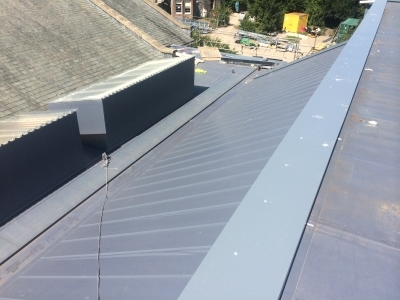 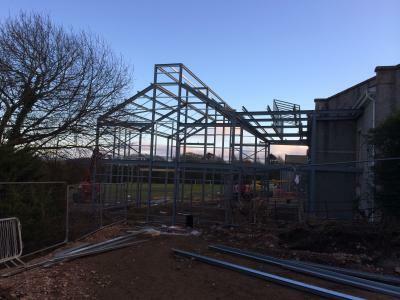 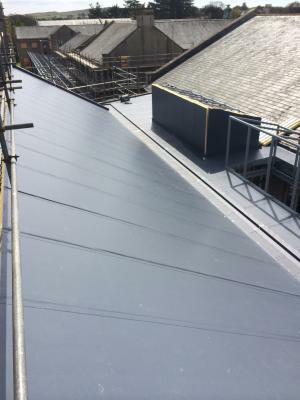 Steel frame construction with Kingspan Topdek (Trocal) System. 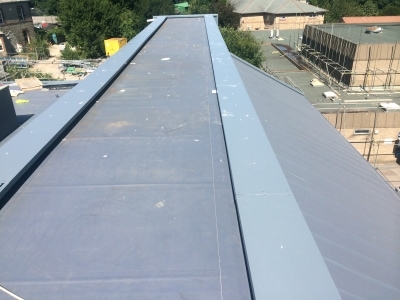 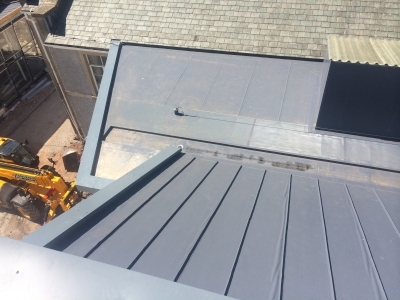 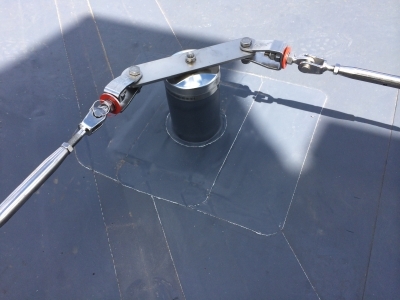 Full Soter safety line system and PPC flashings.